This 7 day Classic Kalahari Mobile Desert Safari Adventurer explores Central Kalahari, Deception Valley and Makgadikgadi Pans. Suitable for small groups of up to 9 people. Seasonal: Best time during the rainy season from January till March - during the Migration in the Kalahari, set departures during the year. This 7 day Classic Expedition Mobile Botswana safari allows you to discover Botswana's best kept secrets, from the stark Central Kalahari to the unique Makgadikgadi Pans. In between there will be an exceptional opportunity to spend time with a Bushman community and learn about their amazing way of life. 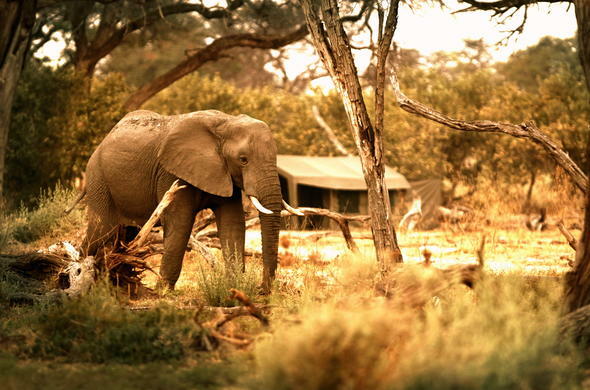 This mobile Botswana safari allows you to experience a land of contrasts. 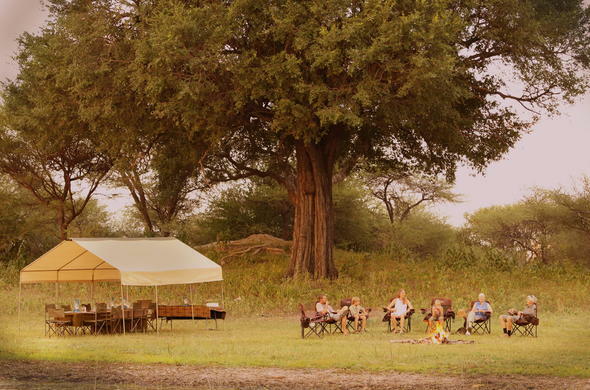 Guests will be able to enjoy exciting game drives and bird watching at each location. You will have wonderful photographic opportunities on this Botswana holiday. See amazing birdlife in the middle of the desert and the spectacular Kalahari sunsets. On the first morning of your safari, you will take a scheduled flight from Johannesburg to Maun in Botswana. On arrival at midday, you will be met by your guide and transferred by road from Maun to a lodge in Makgadikgadi Pans. You can choose to spend your first afternoon on the Boteti River on the unique floating hide where you will be able to game view with your guide or relax in the pool overlooking the river, or just relax on the veranda of your tent. Sit back and relax as the wildlife comes to you. After an early breakfast, you will start the the drive to the Passarge Valley Region of the Central Kalahari Game Reserve. You will spend the next 3 nights in a mobile tented camp on a private site miles from anyone or anything else other than the local wildlife. This is really what getting away from it all, is all about! The next two days will be spent exploring this interesting area. With 52,800 km² of protected area (the second largest in Africa) set aside, there is plenty of ground to cover including the areas surround Passarge Valley (the south west region to Tau Pan) and other remote regions.After a light breakfast you can head out on an early morning game drive. The ancient river bed has many fossils while the grasslands provide a nutritious grazing ground for Kalahari game such as Gemsbok or Oryx, Springbok and Blue Wildebeest. Predators such as Kalahari Lions, Cheetah and Caracal are often seen in this area. You could see many species of birds including Steppe Buzzards and Pale Chanting Goshawks. Threatened Lapped-faced Vultures nest in these valleys. After your morning game drive, you'll enjoy a refreshing brunch. Spend the afternoon relaxing and head out again on an exciting game drive in the late afternoon. Today you will travel to Deception Valley, a region made famous by Mark and Delia Owen who spent 7 years in the area studying the wilderness and its inhabitants chronicled in their book, the "Cry of the Kalahari'. Accommodation will be in a mobile tented camp and on game drives you will hopefully get to see the black-maned lions of the Kalahari. Today you will explore the dunes, ancient river valleys and pans of Deception Valley. 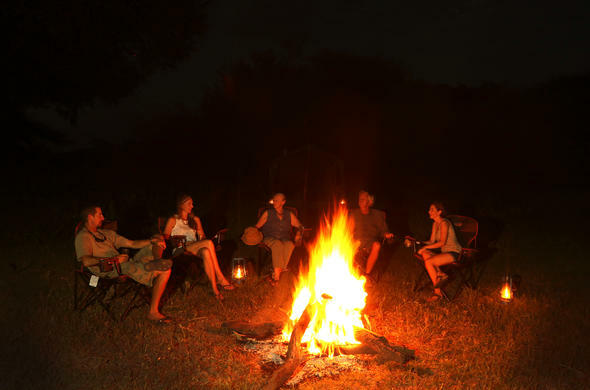 Game drives are best done early in the morning, so you will wake up at dawn and enjoy some coffee and a light breakfast around the fire before heading out to see what animals you can see. Highlights of your game drive will be visiting the Tau, Leopard, Sunday and Deception Pans. Look out for Eland, Red-Hartebeest, Kudu and Giraffe. 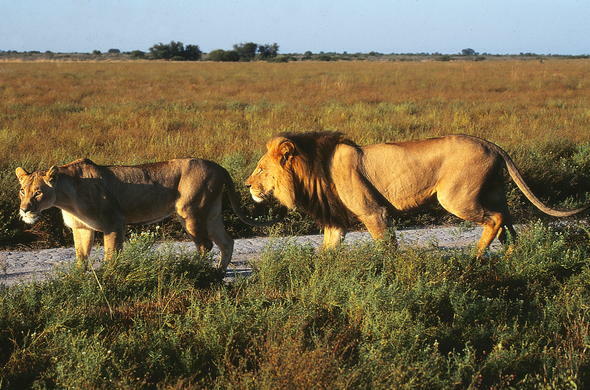 The region is also known for its Kalahari Lions and Cheetahs. If you are lucky you may see Brown Hyena and sometimes Wild Dogs. The pans are good places to see the local birdlife such as Crowned Lapwings while the plains are home to Tawny and Martial Eagles. Today will be an early start in order to return to Maun in time for your departure flight. You will leave camp directly after an early breakfast and take a slow scenic drive, stopping en route at Lake Ngami, back to Maun, arriving at approximately 12h00 in time to catch your return flight to Johannesburg O.R. Tambo International Airport. This 7 Day Kalahari Mosaics Package has set departures during the rainy season and can accommodate, on a scheduled safari, a maximum of 7 people. If you prefer a private tour with your own driver, guide, crew and vehicle, we have an outstanding option for 1-9 people in a small group with one set departure per month. The rate is listed per person/sharing for the scheduled tour. The routing can be changed and is subject to weather, roads, animal movements and availability. Alternative options on a mobile tour or overland tour are available during the year, please ask a Siyabona Destination Specialist for the best option.